We have been seeing new colorways and new variations of the Air Jordan 1 monthly and the month of August will be no different as Jordan Brand lined-up a new Air Jordan 1 Phat Mid. 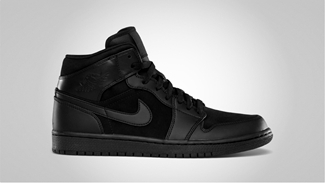 The Air Jordan 1 Phat Mid is now available in an “all black” colorway. 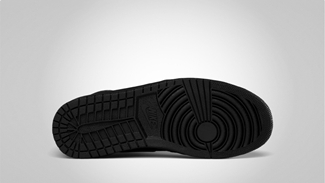 This edition of the silhouette features a combination of nubuck and leather on the upper part, giving it a classic-basketball shoe look with an encapsulated Air unit in the heel. Check this out one now and get your own pair!